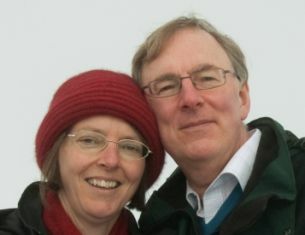 Welcome to the new-look web site of Karen and Clive Scorer. This page is a contents page with links to my pictures and my weather site. Soon I'll be adding links to more information about Karen and me. Please use the tabs above, or the links below, to look at those pages which interest you. 1st May 2013. Site revamp. 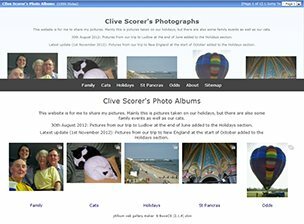 This page becomes an new index page, with the pictures that used to be here have been moved to their own subdomain at photos.scorer.me.uk. I have changed the format of my photo pages, and move them to this new address. They contain lots of pictures from holidays old and new; a number of family events; several pictures of our cats, past and present; and various odds and ends. The pictures have been carefully selected as the 'best of' the thousands I've taken over the years, and have (hopefully) informative captions. Please enjoy them. 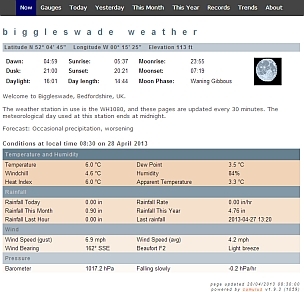 The pages showing past and present readings from my weather station in Biggleswade are here. These pages contain data gathered from the weather station, as well as information about the station and how the web pages are generated. Please remember that this is an amateur station, and the information shouldn't be relied on to make any important weather-related decisions! I will soon add more details about me and Karen, our cats, where we live and this website. Please come back later. I plan to put together an assortment of links to sites and software I've found useful. These will include the software I use for basic image handling, and what I use to generate my web photo albums.